There it is! 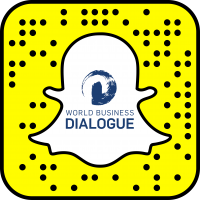 The official World Business Dialogue blog has its comeback! On this page, we want to inform you about the process of organising the largest student-run congress, give you an insight of our work and what happens “backstage”. As everyone who is moving with the times owns a blog, it was only about time that we relaunched our blog! Aside from our Facebook page and other social media accounts, we now have the chance to show more of our personal side. Who we are and what we do exactly. Most of us in the team didn’t really know what it means and what kind of effort it is to organise such a big event until we were a part of the team and we want to change that! In the following weeks and months, you’ll find interviews with our team members, travel stories from us visiting our partner congresses, reports about the work in the various departments and interesting stories from former congresses. Why did our managing directors choose to devote another year to the project „World Business Dialogue“? How does our Trends & Speakers department find new topics and get in contact with big business names? Which single steps belong to the organisation of an event with more than 500 people? Where are our alumnis working today? We hope to be able to show you how hard we – 46 people to be precise – work for this event and how much we are looking forward to make the 20th World Business Dialogue an incredible experience for you!